Starting the new year off as a pregnant lady, my health and fitness goals have evolved from previous years. I rang in the New Year on the verge of my third trimester knowing that this is not the time to make any drastic changes to my fitness regimen or diet. It's important to take small steps to keep myself and my baby in shape as we approach the end of pregnancy-- especially after a few months of holiday indulgence! 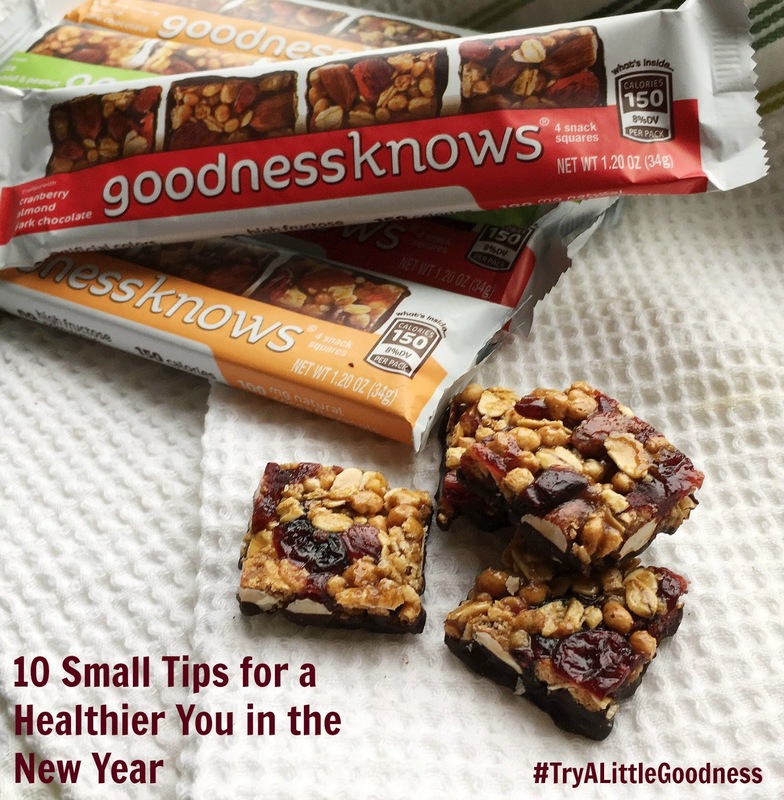 And with that in mind, I've partnered with goodnessknows® snack squares to bring you a list of small things we can do to stay healthy and active that aren't totally crazy... and you may not be pregnant, but I think they'll work for you too! Here's some more good news: You can find goodnessknows® snack squares at your local Walmart store! They're either conveniently located near the registers (so you're no longer tempted to reach for a candy bar when hunger hits you in the checkout line) or in the pharmacy department near the other energy and nutrition snacks. 1. Keep nourishing snacks readily available. This is crucial. If I don't have good food available to me and hunger hits, I'm reaching for the first piece of junk food I can find. And that is not a good idea! I was traveling for work last week and between rushing to and from airports and meetings it was hard to find time for a decent meal. Thankfully, I had some goodnessknows® snack squares in my carry-on to tide me over! As they say, "goodness is greatness!" 2. Have water on hand at all times. Staying hydrated is the key to feeling full (and avoiding overeating), good skin, and fighting fatigue. So, pack a bottle of water in your bag whenever you're heading out of the house and need some extra hydration! 3. Get off the train or bus one stop earlier. Even if it means you're only adding four blocks to your walk home or to the office, it's still four more than you normally walk. And those steps add up. It's also a great way to clear your head before or after a busy workday. 4. Stretch for a few minutes every morning-- and before bed too. Stretching is an excellent way to wake your body up in the morning or to calm down in the evening for a good night's sleep. 5. When your body needs sleep, go to bed. Being too tired can lead to a ripple effect of bad food and fitness decisions. So when you feel yourself crashing, do your body a favor, put your phone down, and hit the sheets! 6. Even if you're not going out to eat, get out and walk during you lunch break. I got into this habit years ago when I was working out in a suburban office park. One of my coworkers was adamant about walking around the property on her lunch breaks, so I joined her and loved how energized I felt for the rest of the day. Now that I work in the city (and since I'm pregnant and need to move around more often), I try to make sure I escape at some point around lunchtime-- even just for 10-15 minutes-- to walk by the river or run an errand in the fresh air. 7. Meal plan. Planning your meals ahead of time is the best way to prevent yourself from coming home, surveying your fridge, and then ordering takeout a few times a week. When you've got the makings of a healthy meal in front of you, it is much harder to ignore. 8. Add whole (and super foods!) into your diet. It's easy to fill up on empty calories, but if you're conscious about what you're putting into your body you'll feel better-- and fuller for longer! I always try to make sure that my meals and snacks are made up of good-for-me superfood ingredients (that also taste delicious and indulgent) like the nuts, apples, cranberries, cherries, and dark chocolate you find in goodnessknows® snack squares. 9. Don't be afraid to say 'no.' It's easier said than done, but this is something I've gained a new appreciation for during my pregnancy. It also harkens back to tip #5: When you're crashing and you need to relax, it's okay to turn down an event invitation every once in a while in favor of a little R&R. Your body will thank you. 10. Everything in moderation. This is my favorite tip for living a healthy balanced life-- and one that I always try to live by, pregnant or otherwise. You don't have to overhaul your whole life and routine to live and feel better. 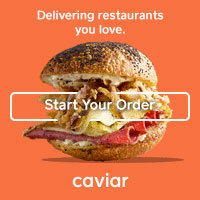 Small changes and the occasional indulgence can add up to a big difference in the way that you look and feel! Do you have any easy tips for living healthier? The folks at goodnessknows® and I would love to hear them! Thanks, Cristi-- and agree! Changes are much easier when they aren't so big!